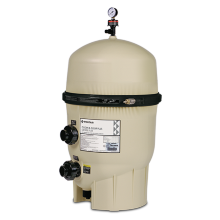 Sta-Rite's modular media filtration is the perfect match for both the inground and aboveground pools. Advances in media technology and balanced flow design provide dirt-loading capabilities up to 15 times greater than sand filters of equivalent size. 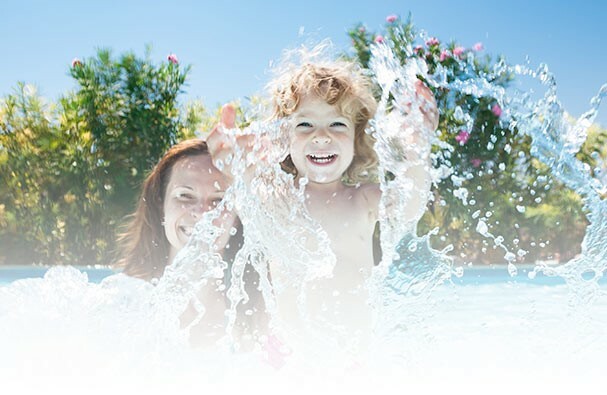 The result is virtually maintenance-free operation for today's pool owner. 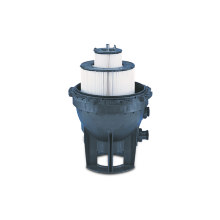 The small diameter footprint makes the System:2 filter a perfect fit for new and retrofit installations. Contemporary style and matte black finish look attractive in any pool setting. Note: No backwash valve required. 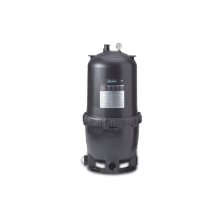 No longer using "cartridges," Sta-Rite's advanced technology has brought an entirely new class of filtration to your pool. The modular media concept incorporates the latest in media science, perfectly balanced flow, and an integral manifold design: namely, ultra-capacity filtration. This filtration concept puts totally care-free operation within reach. 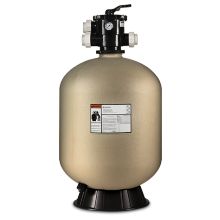 Modular filter tanks allow for quick change of filter medias without changing the tank. Contemporary style and matte black finish look attractive in any pool setting.